Studying aeronautical engineering in Belarus will be a perfect decision for international students for 2019 intake.We must know that what this engineering area is about actually. As we all know that today long distances are covered by air travel normally and different means are used with respect to distances. Normally a country to country a fast travel is covered by airplanes and some other air sources. For example if we are travelling by car to some other city or within city even we must have a well maintained vehicle and these engineering who maintain the auto are called automobile engineers. 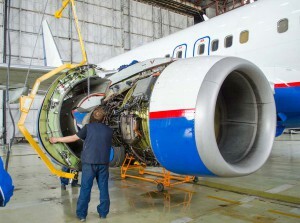 Just like that the engineering who maintain the airplanes are called aeronautical engineers. In the today world aeronautical engineers play a very major role in the air industry as without them no air industry will survive. These engineers are required in every country of the world and have a huge value otherwise the world may drive back to the stone age when people traveled days or month to reach their destinations. These aeronautical engineers are paid very high salaries anywhere in government or private sector. So we now know that what actually an aeronautical engineer is and what is his/her job. There are no diploma programs for aeronautical engineering in the world as this profession is highly sensitive. This course is normally taught at engineering colleges and universities for degree programs only. Belarus prepare the best aeronautical engineers may say in the world as Belarus has best aviation colleges and highly professional teaching staff. This course in Belarus is taught at Belarusian State Academy of Aviation in Minsk for foreign students. Once you have decided to study your aviation program in Belarus we assure you that you will never regret your decision in your practical life. According to admission process international students has to scan us their secondary school certificate with international passport copy for eligibility assessment.This assessment takes 1-2 days and the applicant is informed about his/her eligibility or ineligibility. Eligible applicants than transfer the processing fee for their official study invitation and once we receive the complete requirements,The processing time is 2 weeks. International students no matter which college or university they are studying are provided on payment students hostels where they live in sharing rooms. A room is normally shared by 3 students and all hostels are having complete facilities at students hostels. Students may buy their food staff and cook at hostels as all the hostels no matter for national or international students are having kitchens where they may cook their country food. There are a ot of foreign hotels or cafes where also their country food available but it costs more than the self cooked food at hostel so choice is always with students. International students come from almost every country to study their aeronautical engineering in Belarus but most of the students come from African and Asian countries like Nigeria,Ghana,India,Zimbabwe,Pakistan,Sri Lanka etc etc and some from Latin America too. International students interested in study this course in Belarus for 2019 intake may write us anytime today for a fast processing of their admission right now. i would like to see the setup of programmes.